The Loire Valley with its famous châteaux, especially Chenonceau, Chambord, Chaumont and Cheverny, is only a couple of hours from Paris by train or car. Visiting the area by car provides the greatest freedom but not everyone wants the added expense or bother of hiring a car. Fortunately, public transport is available to get around the main châteaux. You simply need to choose the best base and plan in advance as departure times are often limited. Start by deciding which towns and châteaux you are interested in. I have written several posts that might help you particularly Ten Top Châteaux in the Loire Valley and Secret Châteaux of the Loire : Langais, Montsavin, Montpoupon and Beauregard. The train from Paris Austerlitz goes to Orléans, Beaugency, Blois, Onzain (Chaumont), Amboise and Tours. Trains can be direct or stop at several stations along the way. The direct train to Blois takes just under 1 ½ hours. A good train for a day trip to visit Chambord and Cheverny, for example, would be the 7.38 am from Paris arriving in Blois at 9.01 am. Blois would seem to offer the best base for visiting the four C’s without a car because it has a special shuttle (Navette Route 41) that takes you from the train station or Blois Castle to Chambord (40 mins), Cheverny and Beauregard. The current price is €6 for the day (adults and children are the same price) whatever the journey and also gives you a reduction to the different châteaux. For the timetable in French click here (timetable in English below). The shuttle operates from the beginning of April to the end of October on Wednesdays, weekends and school holidays, leaving Blois around 9.30 and 11.30. It also operates every day from mid-July to the end of August. There are regular lines that operate during the winter (information on www.tlcinfo.net). The shuttle times are organised so you can visit Chambord in the morning and Cheverny in the afternoon. If you just want to go to Cheverny, for example, there is a shuttle leaving at 11.30, arriving at Chambord at 12.10 then at Cheverny at 12.34 (see timetable below). Even in peak season, there are plenty of seats. However, the bus is not very well indicated at Blois station. When you walk out, look diagonally to the left and you’ll see a large sign indicating “Gare Routière” “Châteaux”. The bus stop is just behind it (you can see a small queue in the photo below) to the right of the red car). A second shuttle (Navette Azalys) takes you from Blois to Chaumont (€2.15 one way, €4.15 return), leaving at 9.25 am and 2.05 pm from the train station and two minutes later from Blois Castle and arriving in Chaumont at 10.05 am and 2.45 pm (see timetable below). To access Chenonceau from Blois, you first need to go Amboise which is an easy 16 to 20 minute train ride (7.20 €). 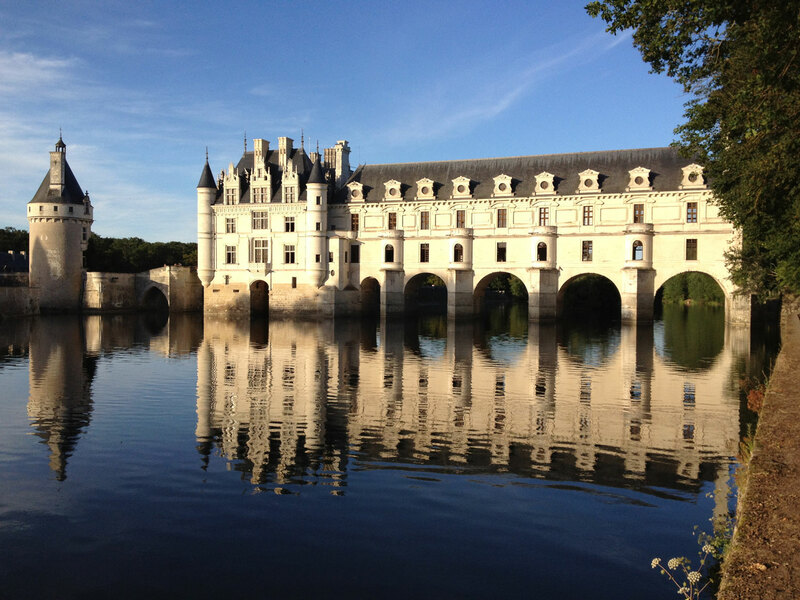 A half-hour bus ride then takes you to Chenonceau which can also be reached by a half-hour train ride from Tours. To go to Azay le Rideau, you need to take a 40-minute trip to Tours by train from Blois (€11.20) and allow another ½ hour train ride from Tours. Tours also offers the possibility of going to Villandry (35 minutes by train or Fil Bleu bus n° 117 leaving at 9 am and returning at 1 pm which is plenty of time to visit the garden as the château isn’t very interesting) and could provide a second base if you have more time in the Loire. The 20 K bike path from Tours to Villandry is also a pleasant, easy ride and quite feasible even if you don’t normally cycle that far. So, to sum up, if you want to visit the Chambord, Cheverny, Chaumont, Chenonceau, Blois and Amboise castles, you will need at least three full days based in Blois: Chambord and Cheverny the first day (Wednesday, Saturday or Sunday except from mid-July to end of August when the day doesn’t matter), Chaumont and Blois the second day (Saturday or Sunday, except from mid-July to end of August when the day doesn’t matter) and Chenonceau and Amboise the third day. If you are interested in also visiting Villandry and Azay le Rideau, Tours would be a good second base. There is another way to visit the châteaux – by bike. A network of bike paths links up all the châteaux and towns in the Loire Valley. Once again, Blois is a good base for Chambord, Cheverny, Chaumont and Beauregard, with comfortable distances, but Amboise would be a better base for Chenonceau. Take the 7.38 am train from Paris Austerlitz, arriving at 9.01 am. Take the 9.30 shuttle from the station, arriving in Chambord at 10.10 am. Have lunch in Chambord (many choices including sandwiches and a picnic ground). Leave Chambord at 2.05 pm arriving in Cheverny at 2.29 pm. Leave Cheverny at 4.09 pm or, if you want to watch the 5 pm feeding of the hounds, leave at 6.30 pm, arriving at Blois station at 7.15 pm. There are trains for Paris at 4.17 pm (going to Montparnasse), 4.41 pm, 6 pm, 6.43 pm (all going to Austerlitz), 7.19 (Montparnasse) with the last train at 8.37 pm (arriving at 10.34 pm in Austerlitz). You can also get out of the bus at Blois Castle if you would like to include a third castle or walk down into the old town to visit or have dinner. Take the 7.38 am train from Paris Austerlitz arriving at Amboise at 9.17 am. Visit the castle, then walk to Clos Lucé (10 mins). Have lunch in Amboise and walk to the station which is across the Loire (20 mins) to take the 2.22 pm train to Onzain, arriving 2.31 pm. Alternatively, take the 12.58 train to Onzain, arriving at 1.08 pm and have lunch in either Onzain or Chaumont (there are places to eat in the castle grounds as well as in the town). Walk to the castle (about 1/2 hour from the station but a great walk across the bridge with a fantastic view of Chaumont). Visit the castle. Take the 5.28 shuttle back to Onzain (or walk) and catch the 6.30 train to Paris. You can also take the same shuttle to Blois, arriving at 6.06 pm and have dinner in Blois and visit the old town (train times above). If you need further information, I will be happy to add to this post. Just write a comment! 4 April to 30 August > Wednesdays, weekends, public holidays and school holidays (every day in July and August). 31 August to 1 November > Wednesdays and weekends. 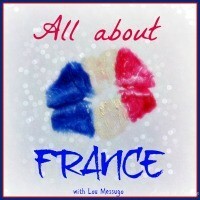 I’m contributing this post to Lou Messugo’s All About France link-up. For more posts from bloggers across the country, click here. This entry was posted in Loire Valley, Loire Valley châteaux, Sightseeing and tagged visiting chambord without a car, visiting chaumont without a car, visiting chenonceau without a car, visiting cheverny without a car, visiting the loire without a car. Bookmark the permalink. Is there a shuttle to Villandry? I’ve always thought there ought to be but never identified one. Chinon is easy to get to by train. One thing I would say is that most chateaux are a considerable distance from the station (a couple of kilometres usually). At Azay and Chinon they are at opposite ends of the town, at Chaumont and Amboise they are on opposite sides of the river. I would rate Azay, Villandry and Ussé as impossible or impractical by public transport (but Villandry is close enough to Tours to do by taxi affordably). Chenonceau is by far the easiest to get to on the train if you are in Tours, and wouldn’t be difficult from Blois or Amboise either. Thank you for the information about the taxi to Villandry being affordable. Sorry, it’s not a shuttle but new bus + tram (Fil Vert). I’ll make the correction. Where is Chateau Gaudrelle exactly? What sort of wine do they offer? We must do the ‘C’ s plus and I have thought that the first part of next year might be good. We have already left it a bit late in life as my husband now cannot do any walking but he will be fine minding the dog and car while I go exploring. You should go in the spring (anytime from the second week of April on). The wisteria is magnificent everywhere. http://www.aussieinfrance.com/2014/04/photos-of-the-week-wisteria-lilies-of-the-valley/. I think I’d be inclined to want to rent a car and drive myself. Yes, that would be my preference but Australians and Brits are not always keen on driving on the “wrong side of the road”! I enjoy your blog and living a bit of your life and travels vicariously! Some friends and I are thinking of cycling from Tours to Saumur next fall with a local self-guide company. Do you have any “important lessons learned” from your own exploration of that route? Or any “don’t forget to visit x” and “don’t miss the chocolate whatevers in y”? Thanks in advance! Hi Marilyn, glad you’re enjoying my life and travels. You might find suggestions on three of my posts for the Loire à vélo route between Tours and Saumur: http://www.aussieinfrance.com/2014/04/fontevraud-labbaye-and-its-extraordinary-kitchen/, http://www.aussieinfrance.com/2014/03/souzay-champigny-troglodyte-shopping-centre/, http://www.aussieinfrance.com/2014/03/loire-a-velo-montsoreau-to-saumur/ and if you have to possibility of a side trip to Azay-le-Rideau, I’d take that too! http://www.aussieinfrance.com/2013/04/chateau-dazay-le-rideau/. I’m afraid I don’t have any suggestions for goodies to eat though … Hope you enjoy your trip. I wouldn’t be cycling any later than the end of September though. The days get too short. This is really handy info, Rosemary. We usually rent or lease a car when visiting France but I’ll bookmark this article just in case we decide to go down the train route next time. It’s good to know there are public transport options to reach the chateaux. Friends have just visited Villandry (amongst others) and they loved it. I am told that Villandry really comes into its own in autumn. Thank you for developing this website & providing such useful information! 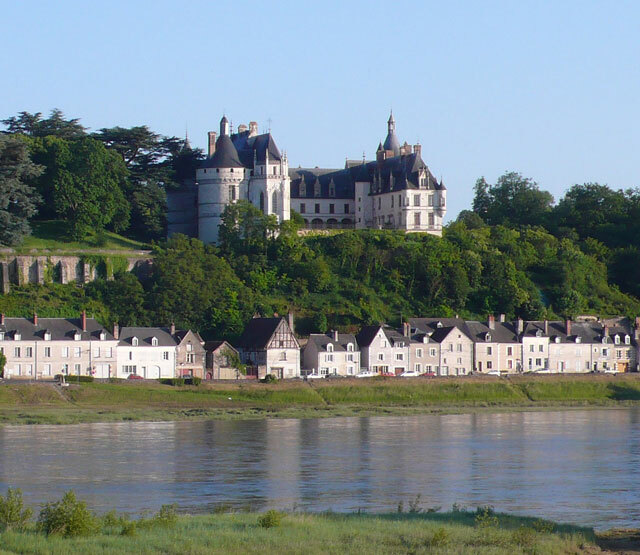 We would like to visit the 4 “C” chateaux but would like to stay in Amboise. Can you please provide bus/shuttle information for this? Also, you mention that the shuttle only operates on Wednesdays & weekends, will this change for the summer months? Our trip will take effect in June & we plan to arrive in the Loire Valley late afternoon on a Wednesday. Hi Priscilla, I’m glad you found the website useful. I suggest that you write to the Amboise tourist office on http://www.amboise-valdeloire.co.uk/practical-information/contact-us and ask them as the information changes from one year to the next. Enjoy your stay! I will continue reading your blog/website as you have so much practical information for our upcoming trip to France. I hope you find all the information you need! Let me know if you don’t. Hi if I’;d read your post before I’d have gone to Blois! However, we are based in Orleans for a week this April and won’t have a car but access to bikes although with two kids (11 and 13) we don’t want to do long rides. Any suggestions for public transport (and / or ) bike options to see castles? Hi Tom, April is going to be a little cold for cycling, I’m afraid. However, if it turns out to be warm enough, you should check out the Eurovélo 6 bike route http://en.eurovelo6-france.com/. In the direction of BLois,, Meung sur Loire (http://www.aussieinfrance.com/2015/08/cycling-along-the-loire-beaugency-meung-sur-loire-clery-saint-andre/) and Beaugency (http://www.aussieinfrance.com/2015/08/beaugency-on-the-loire/) are well worth a visit. Going east towards Briare, Jargeau and Germiny are also interesting. There are also trains to all these places. You can generally take your bike on the train at no extra expense. I suggest you go along to the tourist office on your arrival in Orléans and ask for both the bike maps and train timetables. I hope that helps. Useful info. We are planning to catch the navette bus from Blois to chambord, a saturday end of may. Our concern is what if the bus is full, lots of people wanting to do the same? Do you think OK, we will get on? we can only get ticket from driver, not book ahead. Hi Peter, I phoned the tourist bureau and asked if the navette bus was ever full and she no, never. It’s a big bus. Enjoy your visit! Thanks for info and help. We are going to Blois end of May. We may train to Onzain and walk, google suggests 20 minutes from station across river to chateau gardens. I phoned the company and the navette to Chaumont is functioning. You can see the détails on http://www.azalys-blois.fr/se-deplacer/autres-services/navette-chateau-de-chaumont/. If you use the navette, there is a reduction to the château – 8.50 euro instead of 12 euro (more for the garden exibition). The price is still 4 euro return (plus 0.15 for a rechargeable contact ticket). With regard to the train from Onzain, I would say it would take closer to 25/30 minutes from the station to the château gardens, but they’ve just redone the pedestrian and cycling paths and the view from the bridge to the château is magnificent. Reduction to the château is 7.50 instead of 12 euro if you have a train ticket the same day. The price of the train ticket is 3.70 euro each way. I’d love you to get back to me after the visit to tell me how it all worked out. QUESTION! can i purchase the BLOIS SHUTTLE (SHUTTLE ROUTE 41) ahead of time or do i have to buy it when i arrive. in other words, i am worried about going all the way to Blois and find out that i cannot get onto the shuttle. Hi you can’t buy it ahead of time but I checked with the bus company and there is never a problem. However the bus stop is not easy to find. When you go out the station go left diagonally through the car park and you’ll see a small bus stop sign. I’m going to add a photo to the post. Thanks! That’s great. We will see cheverny and chambord. Two castles in one day is good. Coming down from Paris just for the day. On a Sunday in mid August. Cheverny and Chambord are very different so I don’t think it will be too much. You will have a better choice of meal and price if you have lunch in Chambord. You can also have a picnic there if you prefer. 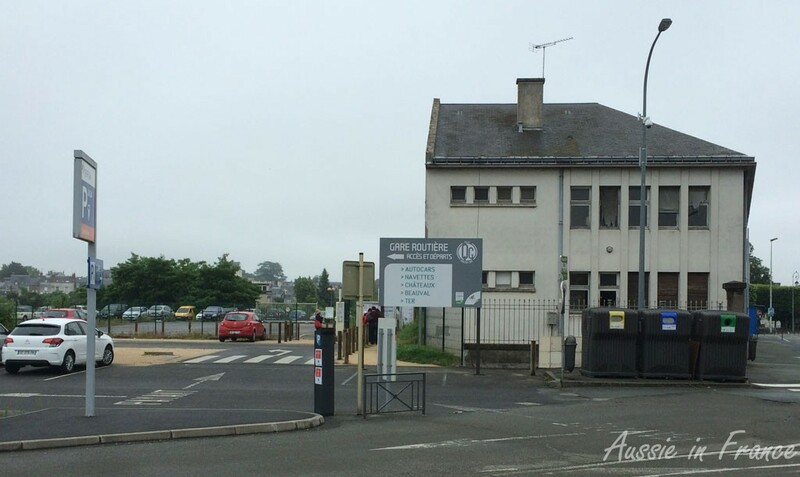 I’ve added a photo of the bus stop at Blois train station. It is not at all obvious. I finally had to go and ask at the Best Western hotel opposite to help some lost tourists last week! Lunch picnic at Chambord. Thanks for the bus stop picture. Or I can ask at the Best Western. Hi Rory, I’m so glad that my information has been helpful. Let me know if you’d like any other information. Thank you for such an informative post Rosemary – your local knowledge is a real asset to travellers on this topic. While we often pick up cars while we are in France, we prefer not to and this post has definitely put the Loire châteaux on the wish list for our next trip. Thanks again. I’m so glad it has inspired you! I can understand that not everyone wants the hassle of a car. I have just bought a studio in the historical part of Blois that I will be renting out to travellers so they can experience provincial life! Well, there you go – you might find yourself here one day. The châteaux are definitely worth seeing. This is such a useful post! I usually get around on public transport when I travel and sometimes it’s hard to get detailed information. Thank you! I’m so pleased you find it useful. I’m sure more people would visit the châteaux from Paris if they knew how easy it was. Really useful information, thanks for sharing ! Ha, ha! I’m sorry that I’ll be disappointing your wife though. I still think it’s better visiting them by bike :). Actually it might be possible to combine the two! Shall I do some research? This is an amazingly useful post Rosemary, all this detail is the very hard to find when you’re visiting and not familiar with the system and/or don’t speak the language. I hope lots of Aussie readers make the most of it and explore your area. (And other nationalities of course, I just imagine you have a fair few Aussie readers!) Thanks for linking up to #AllAboutFrance, sorry I took so long to comment, but I did warn you all….Vietnam has been rather all encompassing this month! I’m glad you find it so useful! I hope it will encourage more people to come and stay in Blois to visit the châteaux! Hello Rosemary, thanks for all the information around the chateaux of Loire Valley using public buses. My wife and I are budget travellers and wish to enjoy the beauty of the 4Cs (Chambord, Cheverny, Chenonceau and Chaumont) in a day in April on a weekend (sunday) using public transport. Is it doable? Besides the shuttles,can you advise if there are any other public buses which run through the day to these chateaux from Blois and Amboise? Thanks in anticipation. Eagerly awaiting your feedback and suggestions. Hi, I’m afraid there’s really no chance of visiting the 4Cs in one day using local transport. Even with a car it would be pretty tough going! I’ve listed all the buses that go to the different châteaux. Looking at the timetable, I can’t see how you can go to Chambord, Cheverny and Chaumont in one day. It would have to be Chambord in the morning and Cheverny in the afternoon. If you really want a third one, you could go to Beauregard (see my post : http://www.aussieinfrance.com/2015/02/the-secret-chateaux-of-the-loire-valley-langeais-villesavin-montpoupon-frbeauregard/) but it’s not one of the major ones. Blois would be a better third choice. You could visit it after Chambord and Cheverny, especially as there is a sound & light show. These châteaux are very big, set in large grounds. I reckon it takes a good 15 minutes to walk from Chambord bus stop down to the entrance of the château. The bus stop at Cheverny is probably right at the entrance to the ticket office. It will be tulip time mid-April and Cheverny has a particularly large display so you would need to allow extra time for that. I’m afraid you would need to spend the night in Blois or Amboise to see Chaumont and Chenonceau and I’m not sure if you could do both in one day. There may be tours going from Paris that would take you to more châteaux but I think they are probably quite expensive. Let me know how you get on. I book marked this post after reading it while we were last in France. I’m now planning a flying visit to Paris in May and I’m determined to visit Chambord and Cheverny. Thank you for writing such a comprehensive post – you’ve made it so very easy for us plan this day out. I can’t wait! Let me know your dates. Maybe we can meet up for coffee in Blois! myself and and friend will be travelling to the Loire Valley from 25th September to 28th September 2017, I read from your blog that the shuttle bus only operate on Wednesday and the weekends at this time, we will only be able to use the bus on Wednesday as it wont be operating the other days is this still correct? I was thinking about hiring a car for the other days but my friend isn’t keen on that. what do you think about driving? I would also need a GPS in English…are they available. we will be staying in Blois… thank you for your help. Yes, the shuttle bus only operates on Wednesdays and weekends in September. I don’t think you should have any problem driving in the Loire though especially if you get an automatic. It’s not mad traffic the way it is in Paris, for example. With regard to a GPS in English, if you have iPhone, you can download the maps.me app and install the Loire. One of you can drive and the other can navigate using the app. There is no doubt a similar app for smart phones that doesn’t need wifi or a connection to use. Don’t hesitate if you have other questions. Thank you so much for this very helpful post. My husband and I are going to Paris in August and were hoping to visit the Loire Valley for a day trip (we only have a few days in France for our trip or we would certainly spend more time there!). I had looked into a few tours, but they are quite expensive. We were hoping to see Chambord and Chenonceau in 1 day using public transport, but now I am realizing that the shuttle you mentioned only runs on Wednesday, and we won’t be there till Thursday. Is there any other way to visit those 2 chateaux in a day using public transportation do you think? Or do you think renting a car or doing a tour would be the only way to make it work most likely? Thanks so much for your time and effort putting this post together! Hi Katherine, I’m afraid that you will have to take a tour or hire a car. There is really no other way. Can I seek your advice on one matter: transport from Blois to Charles de Gaulle airport. I assumed that would be part of a busy line, but the SNCF website shows only a few trains each day. Our flight to Zurich is at 4.30pm on Friday 13 October, so we need to be at the airport by 2.30pm. This means catching the 9.16am train from Blois, arriving at CDG2 at 11.42am. That is nearly 5 hours before our flight, so we will be killing hours at the airport when otherwise we could be enjoying the sights of France 🙂 Do you know any alternative train route or other bus that would allow us to leave Blois later that day and reach CDG2 by 2.30pm? I guess it is a route you have taken yourself a few times. BTW, which part of Oz are you from? We’re a family from Melbourne visiting Paris at the end of September and I really wanted to visit some of the Chateaux in the Loire. Our kids are 13, 11, and 5 and just wondering which are the best ones to visit, given we’ll doing this as a day trip from Paris? We’re OK with making it a full day, as we can rest on the train back to Paris. Am I reading your info correctly, this shuttle is only available on Wednesdays? What would the fare be for us? Hi Loretta, I’ve added a section at the end of the post called “Day Trips from Paris”. With kids aged 13, 11 and 5, I would consider one of the following: The Blois/Chambord/Cheverny trip, particularly including the 5 pm feeding of the hounds at Cheverny which the kids all seem to enjoy. They should also have fun on the rooftops of Chambord. I wouldn’t worry about visiting the apartments in Chambord unless you have plenty of time. You could take them on a little boat ride instead. The second choice is Amboise with the castle and Clos Lucé especially if you have boys because there are life-size mock-ups of Leonardo da Vinci’s inventions. Forget about Chaumont and go to Blois instead if you still have time, because the train to Paris stops at Blois anyway. I think children have better memories of days that aren’t jam-packed! In September, the shuttle is available on Wednesdays, Saturdays and Sundays. The fare would be 30 euro for the day (six euro each). I’ll be interested to hear what you finally choose and how it goes. I’m so glad it’s useful! BTW, I will have a rental apartment available in the historical part of Blois starting in May if you are interested. Information on http://www.closeriefalaiseau.com under Puits Chatel. No photos yet but they are coming! I’m glad I came across your post on the Loire Valley without a car. Thanks for the useful information. I really wish to visit the Loire valley in August this year with my sister, but I have only one day. (I will be visiting from Paris). At the moment, I can only get a train from Paris reaching Blois at 9.38 am, so I will not be able to take the shuttle starting at 9.30. I would have to wait till 11.30. Would you be able to tell me if the buses stop in front of the castles? or do we have to walk a lot from the gardens to the castles? Hi Agnella there is usually a train leavin Paris at 7.30 arriving at 9.25. What date are you planning and which castles are you interested in? I’m sorry for the late response. I did not get any notification by email. I visited your website again today and saw your message. I plan to visit on August 7th. As per the bus schedule, I will only be able to make it to Chambord and Cheverny. Is it a long walk from the castle gates to the castles? I’m wondering if it’s worth it to go all the way from Paris to Blois just to see two castles. My initial plan was to go to Versailles, but after reading in reviews about how crowded it is in summer, I decided to go to the Loire valley instead. Thank you once again for your input which is greatly appreciated. Hi, I have just seen this message now. From where the coach stops in Chambord, it’s about a 10 or 15 minute walk to the entrance of the castle but you can admire it all the time as you walk towards it. I’m not sure where the Cheverny coach stops but I imagine it’s at the main gates. Maybe ten minutes to get to the castle. I personally think that it’s worth going all the way from Paris to Blois to see two castles but maybe I’m biased. It will probably take about as long to get to Versailles! However, I have just looked at your date which says August 7th. Did you end up making the trip? I would be very interested on your feedback if you did! I did not end up going to either one as there was no time.